This is the third time I’ve tried to write this review. Every time I’ve started it, I’ve spent paragraph after paragraph writing about why I think Bruce Campbell is not only a talented actor, but a Renaissance man (writer, director, producer, a whole lot of AWESOME). Whether it’s his books (If Chins Could Kill: The Confessions of a B-Movie Actor, Make Love: the Bruce Campbell Way), his movies (The Evil Dead, Army of Darkness, Bubba Ho-Tep, My Name is Bruce) , or his television shows (The Adventures of Brisco County, Jr., Jack of All Trades, Burn Notice) you can always count on Bruce Campbell to be spectacular. He can play over the top or subtle, sympathetic or abrasive, but he is always good at what he does. The material might not always be the best (Alien Apocalypse) but he is always fun (Alien Apocalypse). Now, I’m not going to write a brief bio on Mr. Campbell mainly because I can’t. I start talking about first reading his book, If Chins Could Kill, and becoming a fan. I’ll mention how I got to meet him at a book signing in Lexington, KY where he was funny, kind to all of his fans, and took a moment to talk to me. That’s what made me a HUGE fan, the fan I am today. He could have just signed my book, sent me on my way. Instead, he noticed my University of Kentucky sweatshirt and asked me about my major. When I answered, “I’ll be declaring in Electrical Engineering in the spring” he said “well la-dee-dah” promptly followed by words of encouragement, and a thank you. He wasn’t mean, he wasn’t standoff-ish, he was a really nice man who took a moment to banter with a nervous, and embarrassed to be so, 20-year-old girl. It was the best night ever and made Bruce Campbell my favorite actor of all time (Cary Grant a close second)! 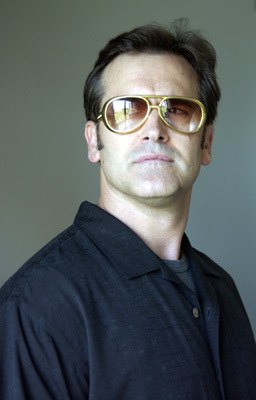 After that, I haven’t been able to get enough Bruce Campbell in my life. 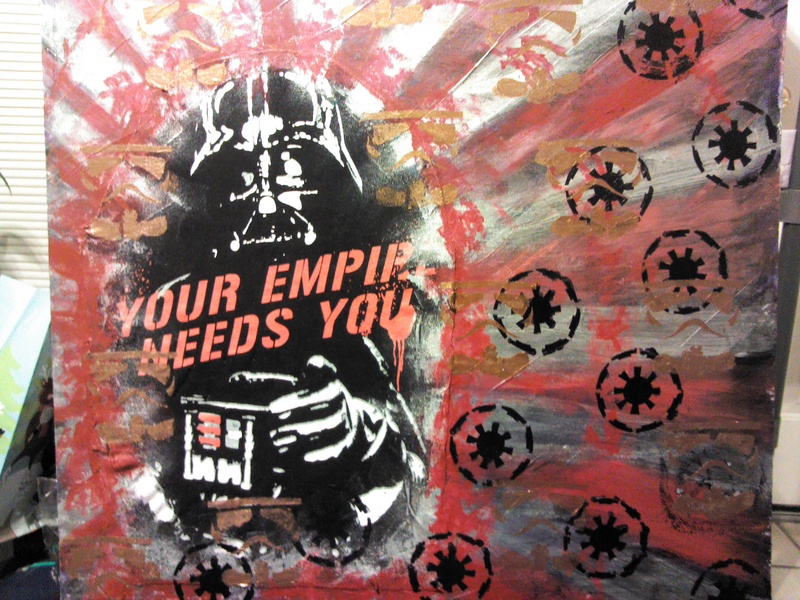 I own the box sets of the T.V. shows he has starred in (I don’t count Xena or Hercules, though they are fun as well), as well as his movies – a whole bunch of them. As far as I’m concerned, he’s the real reason to watch Spiderman 3 (he’s a French maitre ‘d and hilarious). 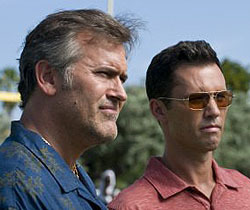 He’s also the reason I started watching Burn Notice 5 seasons ago. The fact that it’s a great show with a wonderful cast, and what I consider a pretty unique story-line, has made it something I enjoy watching – aside from the Campbell factor of course. 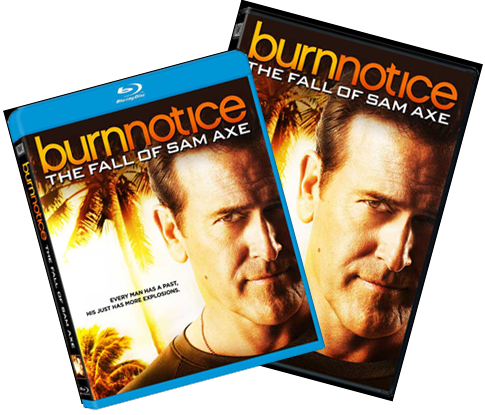 That being said, let’s talk about Burn Notice: The Fall of Sam Axe. This is a prequel to the Burn Notice story line that follows Bruce Campbell’s character, Sam Axe, and explains to the viewers how he ends up out of the Navy SEALS and in Miami where Burn Notice takes place. The synopsis, in brief, is that Sam gets in trouble for sleeping with the wrong man’s wife. Because of this, he is sent to find a terrorist group in the jungles of South America. Only, once there, he discovers that things may not be the way them seem on paper. Sam then has to decide how to help those in need and get everyone, including himself, out alive. It’s a fun movie directed by Jeffrey Donovan (Michael Weston, Burn Notice) and written by Matt Nix (creator of Burn Notice). Sam is an extremely popular character and there is no doubt that this is owed to Bruce Campbell. 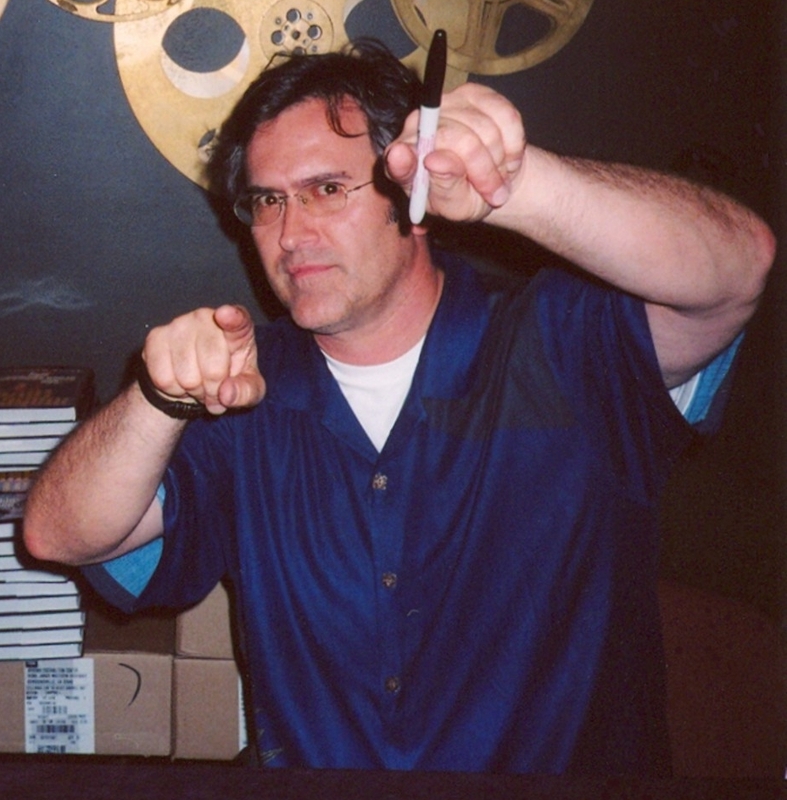 With the action, there is a lot of humor – some of it at Bruce Campbell’s cult status’ expense ( he throws a chainsaw while saying something along the lines of “groovy – like his character Ash from Evil Dead/Army of Darkness). It’s nice to see his character stick to what he knows is right and turn the system on itself. Are there some cheesy lines? Sure, but that’s part of the charm of the Sam Axe character. He’s a badass! He could kill you with his hands, build a bomb out of left over parts, and, if he wanted to, he could bring the mountain down on your head. Still, he doesn’t. He doesn’t blindly follow orders, he does what he KNOWS to be right, and he does it all while showing that he’s human – bad jokes, making mistakes and owning up to them, asking for help, all of it. That’s why I love the character. That’s why I love the show. That’s why I love the movie. It’s not because it’s got the biggest budget, or the best dialogue ever, but it has a fun story that is relatable to. We all have moments where we mess up, say a great one liner, say a bad one liner, help someone, don’t help someone – Sam Axe can be all of those things. He’s not a super man, he’s just a man who occasionally does something super. Will everyone love this movie? No, but what movie is beloved by everyone? It’s a lot of fun, it’s an engaging story with great characters, and Bruce Campbell doing what he does best – a little bit of everything. I bought my copy at Wal-Mart for $15.00, but it’s available at USA Networks, Amazon, probably a bunch of other places too. So, enjoy getting to know Sam Axe and I would suggest getting to know Bruce Campbell – as much as he’ll let us know him – as well.